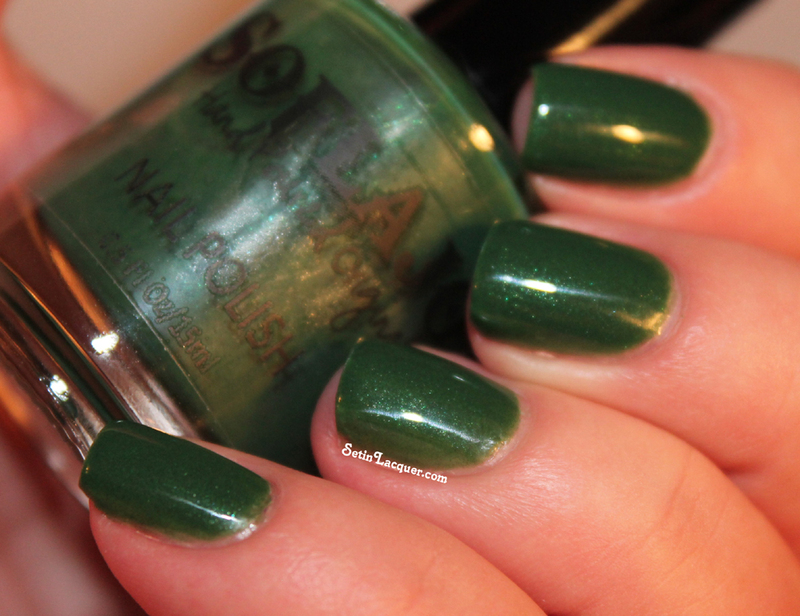 I have a gorgeous holiday polish to share with you. 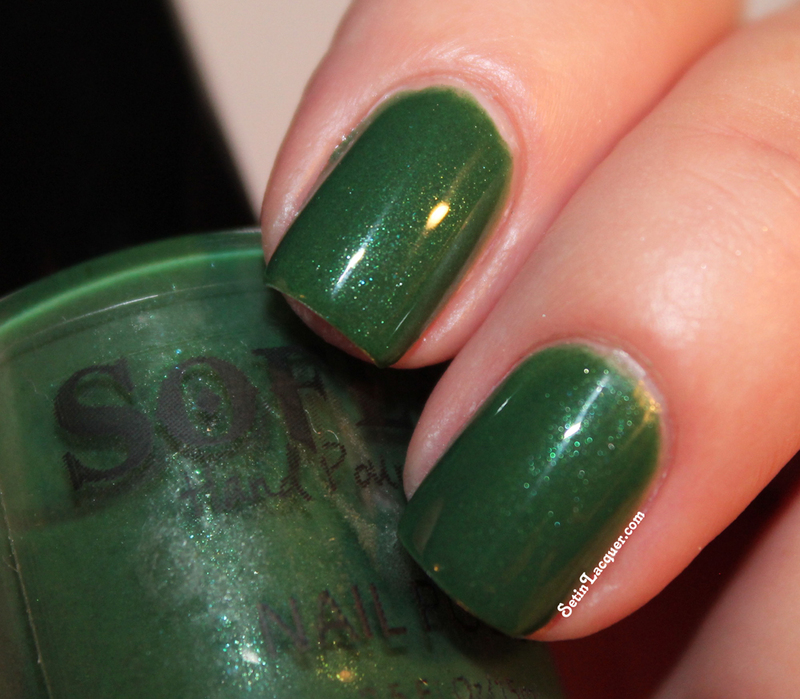 SoFlaJo has released a stunning holiday duo and I am lucky enough to have one of the two to show you. Evergreen is a stunning shade of green. It reminds me of pine trees just after a rain. The shimmer in the polish adds a depth that is mesmerizing. The formula on this polish is remarkable. I used three thin coats and it applied evenly and smoothly. It also dried rather quickly. I did use a coat of Seche Vite for the photos. From now until Dec. 31, 2013, you can use the code "holiday2013 for a 10 percent discount on a $20 purchase. You can also follow the "Super Sleuth" discount instructions on the site, and take an additional 10 percent off your total order. Domestic shipping is always $2, international shipping is $10, both flat rate regardless of order size. 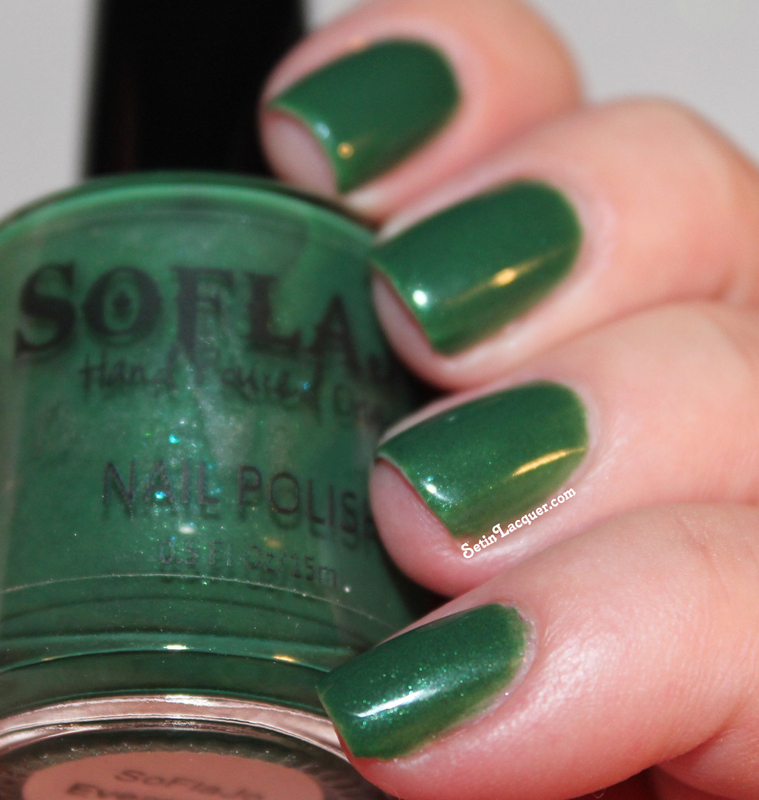 You can get both holiday shades Evergreen and Kranberry Kiss for $10 each on the SoFlaJo.com site. Make sure to follow her on Facebook to keep up with the newest collections and specials. Here's a great collaboration giveaway. Several bloggers got together to bring you this amazing prize of a $100 Ulta OR Sephora gift card - Winner's Choice! Here's the bloggers who participated. Thanks to all of them for taking part in this. To enter use the Rafflecopter widget below. 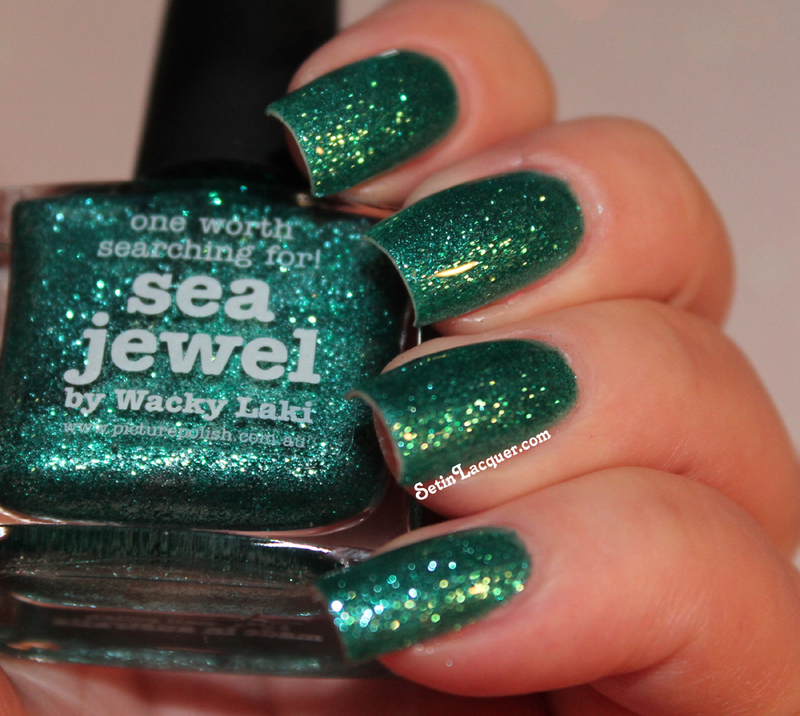 I have a gorgeous piCture pOlish to share with you today. I love this line of polish. It's a Australian made polish with some amazing and unique collaboration shades. Femme is an amazing polish and is typical of the standards that I have come to expect from piCture pOlish. 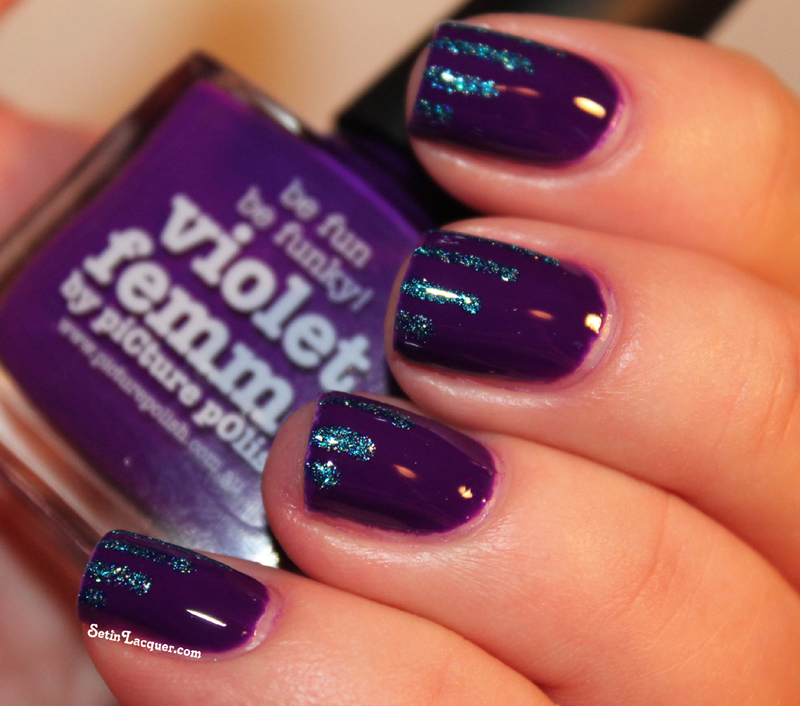 This gorgeous, creamy, purple jelly polish is the perfect vibrant shade to wear on its own or as a base for nail art. Two coats provided an opaque base. I put some vertical stripes of Ocean over the nail. I was actually hoping the vertical stripes would create the illusion of a little more length on my nail. It didn't, but I sure love this color combo together! piCture pOlish can be purchased via their online store or you can purchase from these etailers. 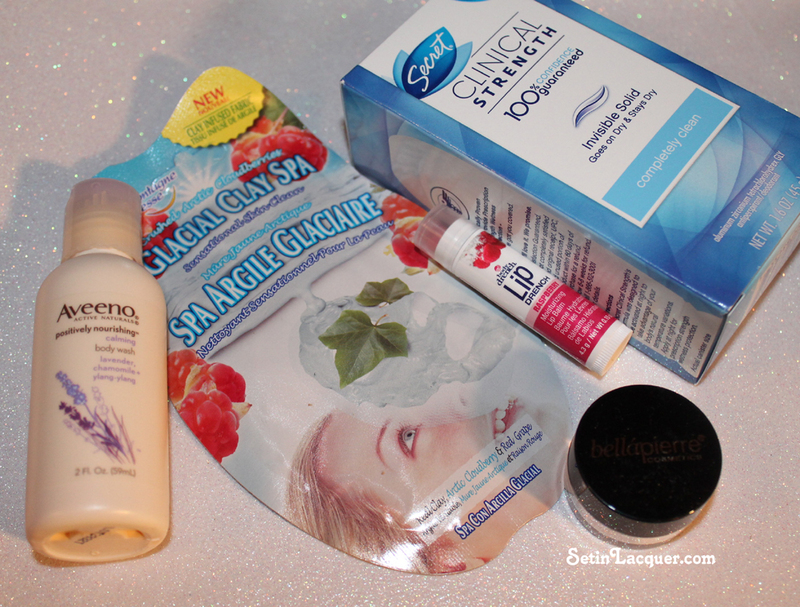 The products in this post were sent to me for an honest review. All opinions are my own. Due to differences in computer monitors the colors you see may be slightly different from the actual color. I have some gorgeous and fun polishes to share with you today - Darling Diva! This collection - the Opal Collection - is a gorgeous collection that has lots of iridescent flakes and is sure to grab attention. The flakes in this polish shimmer and shine with a variety of colors. The formula on these is good. Be careful to only apply thin coats. If you try to apply anything heavier you will fold the flakes and will end up with a bumpy mani. These jelly polishes will build to opacity with three thin coats. I did use a top coat with each of these to add a shine to the end result. The Darling Diva Opal Collection is available on her Big Cartel site for $8 each. Let's take a look at these little jewels! Black Opal - is a black jelly sprinkled with iridescent flakes. Blue Opal - is a pale blue jelly with iridescent flakes. This shade is classy and stylish. Green Opal - is a deep grass green with iridescent flakes. The flakes add tons of dimension and depth to this polish. Opal -is a top coat with iridescent flakes. I think this one is my favorite. You can use it over any color you want. I have it on over Chrome Girl "Hard to Get." Rose Opal - is a vibrant fuchsia shade with tons of iridescent flakes. Violet Opal - is a deep purple with lots of blue tones. The flakes add a lot of depth to this polish. Teal Opal - is the perfect teal shade with lots of iridescent flakes. I love this color. Darling Diva polishes are available for $8. Make sure to follow Darling Diva's Facebook page to keep up with the latest collections and releases. Well it's hard to believe another week has gone by. Last week was a slow week for me blogging wise. I am taking the week off of work next week and with the Thanksgiving holiday I will not be blogging much as I will be spending time with family and friends. 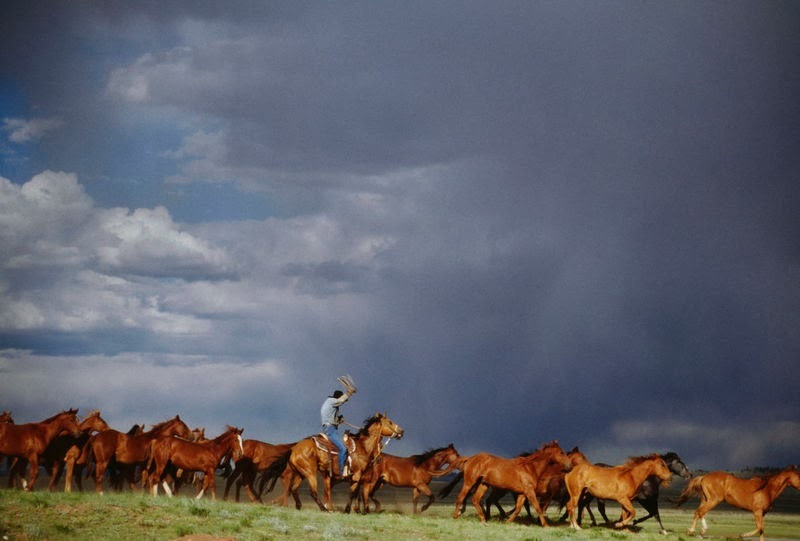 I hope everyone has safe travels and gives thanks for the blessings they have in their life. But now let's get back to the weekly roundup. These classy holo polishes are timeless. There are seven polishes in this collection and they are all stunning! 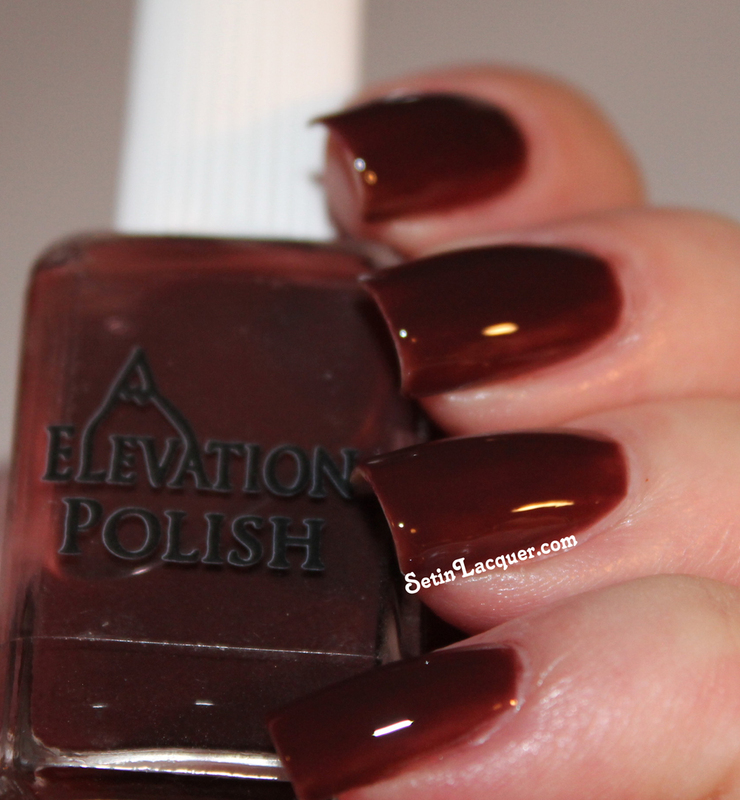 A fun Random Act of Kindness kind of post with Elevation Polishes. Glam Polishes - glam for the win! 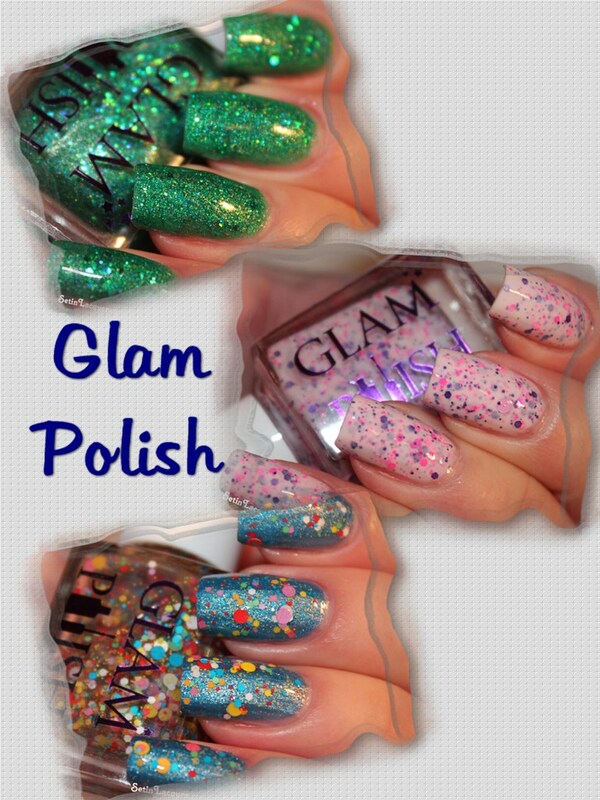 Gorgeous Glam Polishes - Do I need to say more? A fun subscription box. This is November's package. I hope you enjoyed this week's post. I know I enjoyed sharing the products with you. This collection - the Diamond Collection - is a gorgeous holographic collection that is sure to grab attention. The holos illusion in these polishes is not over the top. It has just enough sparkle and glitz to adorn your nails with style. The formula on these is nice and most will provide opacity with one coat. I applied two coats of each polish though. I did use a top coat with each of these to add a shine to the end result. 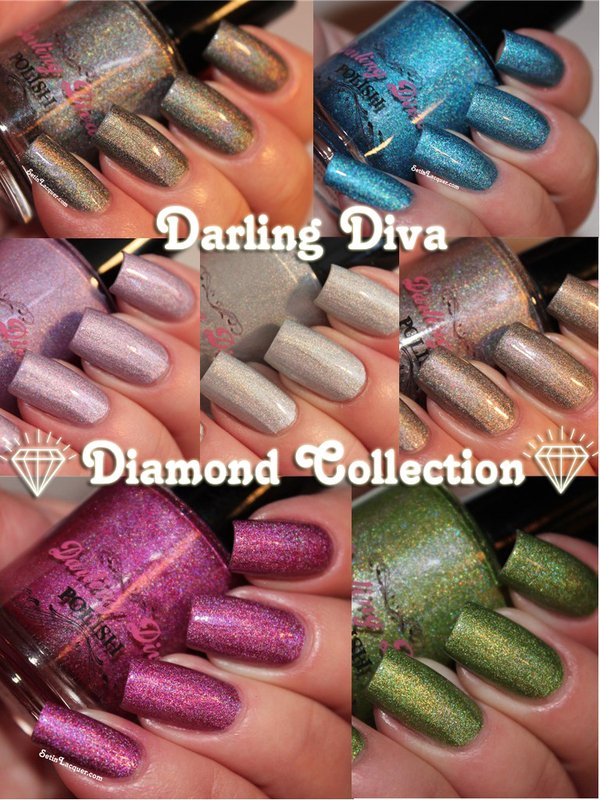 The Darling Diva Diamond Collection is available on her Big Cartel site for $8 each. Let's take a look at these little gems! Black Diamond - is a gorgeous, shimmery charcoal shade. I love this shade. Blue Diamond - is a gorgeous aqua blue that shimmers just like the waters in the ocean. It's stunning. Chocolate Diamond - is a soft, warm chocolaty brown. This is the perfect shade to wear with a sweater and boots. Diamond - is a silvery gray shade that transforms in the light. The holo effect is subtle and classy. Green Diamond - is the perfect shade of pale fern green. I love the shimmer in this one. Pink Diamond - is a holo pale pink and has almost a gray tone to it. It is truly a unique pale pink. Make sure to wear a good base coat with this one as it does want to stain a little. But a good base coat will help with that. Rose Diamond - is a glorious rosy shade of deep pink that is stunning in almost every type of lighting. I recently received a random act of kindness package from a wonderful blogger friend, Michelle. If you haven't checked Michelle's blog (Things I Love at the Moment) out - you have to! She has some wonderful swatches! 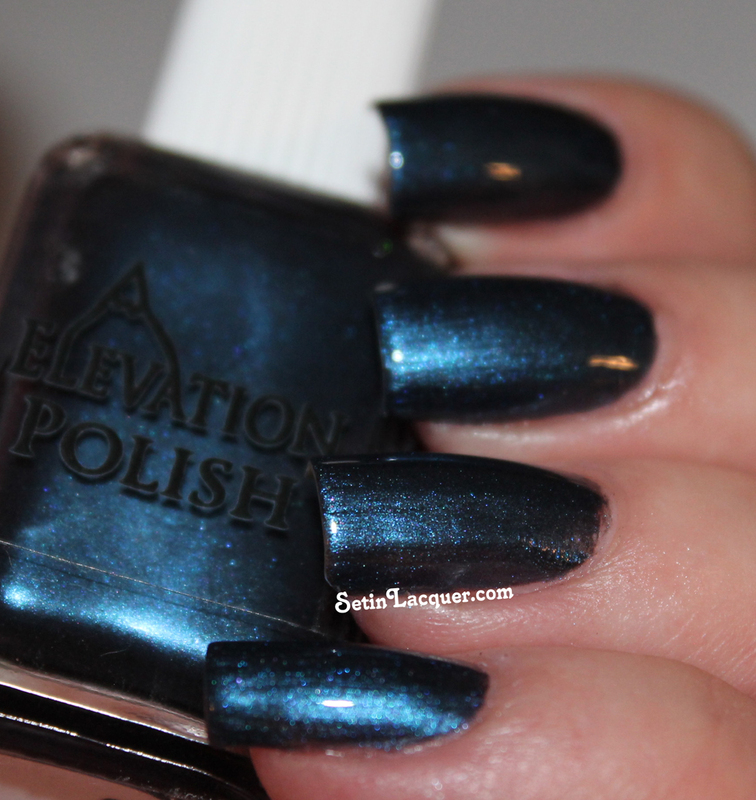 She sent me some fun, and gorgeous, Elevation Polishes. I have tried Elevation one other time. I have to say the polishes are quite amazing. Elevation Polish is a niche artisan collection of quality polishes, inspired by the creator's two passions - mountains climbing and nail polish. I have three polishes to share with you and they are all quite different from each other. Tettegouche - is a brown jelly polish. It is the color of a rich chocolate and applied wonderfully. But like all jelly polishes it takes a bit to build it up. This is four coats. It has been reformulated so it's probably even better now and is now simply called "Tette." Ubsunur - is a rich, shimmery, sapphire blue polish. This is two coats and it is amazing. These Boots Were... - is a... well it's really hard to describe. It's almost a raisin color with a hint of blue shimmer. 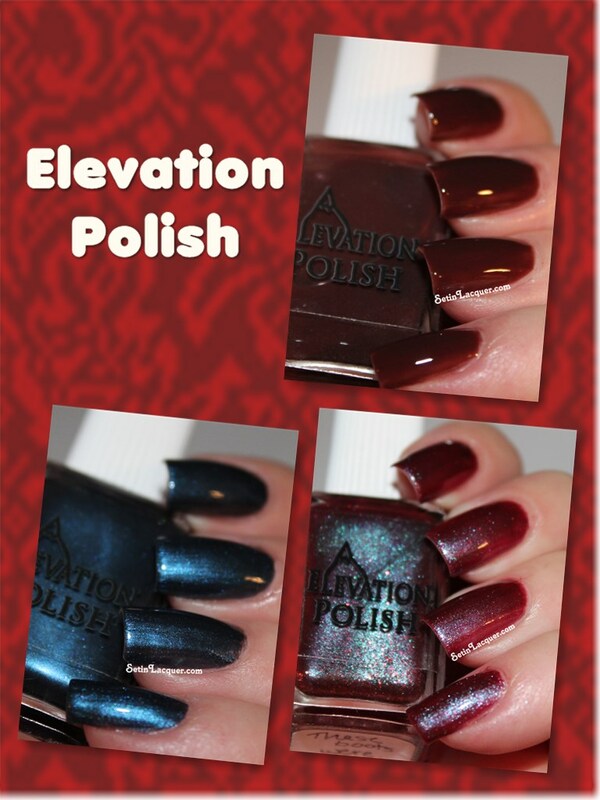 Elevation Polishes can be purchased at http://elevationpolish.bigcartel.com/ and normally cost around $8.50. These polishes were provided to me as a gift.